Jujutsu (柔術, jūjutsu) is an ancient Japanese martial art. The systems of unarmed combat which were developed and practiced during the Muromachi period known as Japanese old-style jujutsu (日本古流柔術, Nihon koryū jūjutsu). 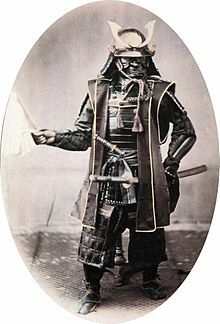 For example, a samurai would defend himself with jujutsu if he was without his swords. ↑ Nussbaum, Louis-Frédéric. (2005). "Jū-jutsu" in Japan Encyclopedia, p. 435. Wikimedia Commons has media related to Jujutsu. This page was last changed on 31 August 2017, at 05:10.